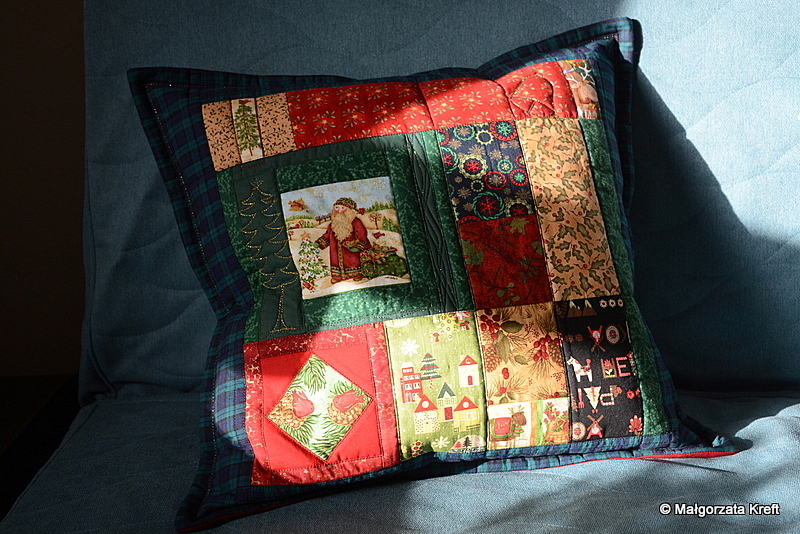 Sometimes I like to make a cushion or even several of them. 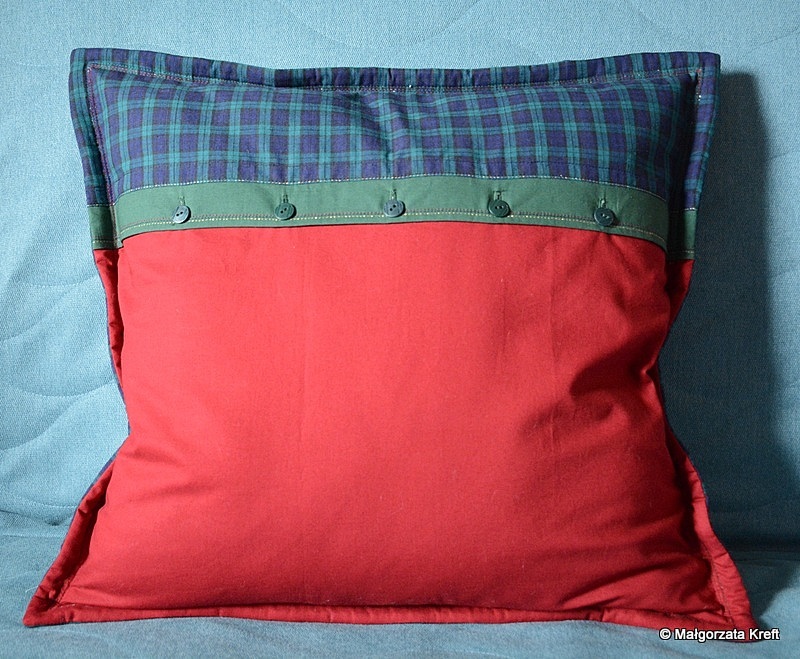 I made this pillow very quickly, considering my standards. 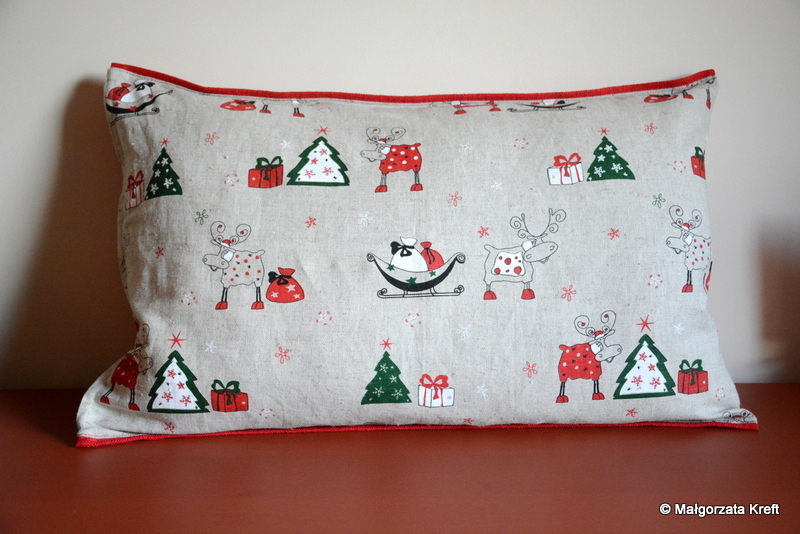 I just needed one, for Christmas and for a new sofa. It’s hard to make a good pictures at this part of a year, because the light is so little. I made the below one in a sudden sunshine. The colors are changed, but i like it anyway. 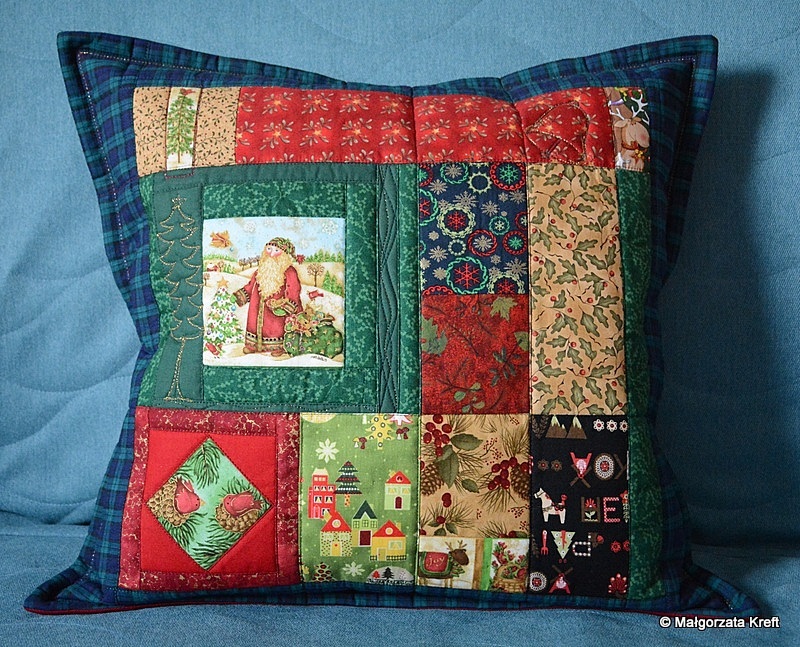 The cover for a pillow 50 x 50 cm. 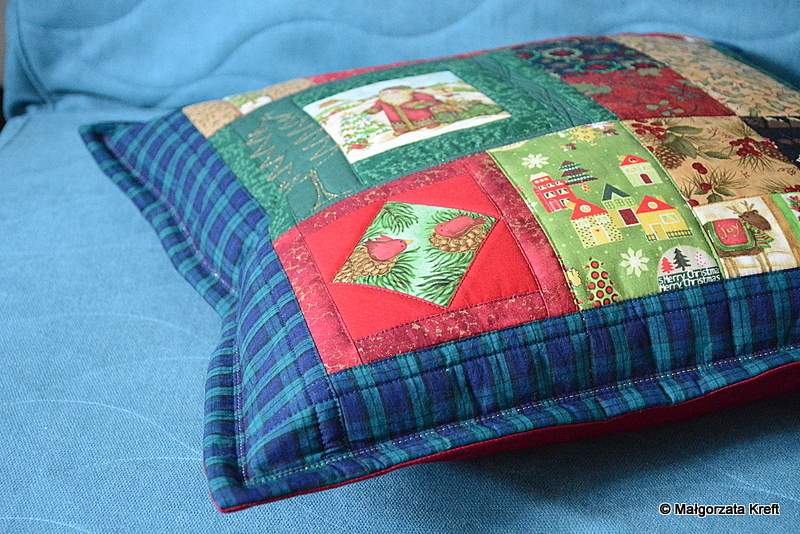 I also sew two covers which were not a patchwork type. 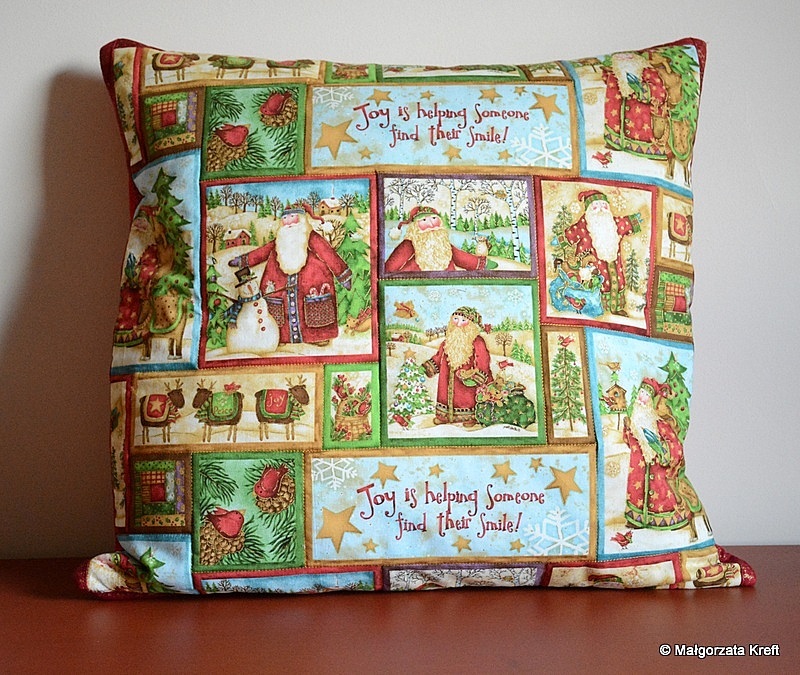 It appeared, that I have some significant amount of seasonal fabrics. This year the leading motive was the Santa. 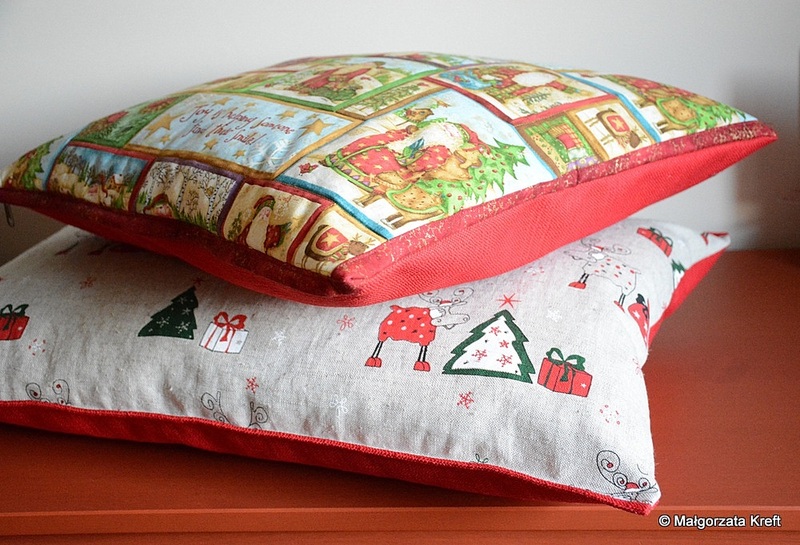 Christmas pillows will dwell in a different homes. Basiu, bo ja w Tobie widzę dziecko, nie gniewaj się, to komplement. Rzadko kto ma taką radosną młodą duszę 🙂 To skarb.